I am just beginning to learn about the first UN Secretary-General, Trygve Lie, who resigned from his office on November 10, 1952, after seven years of service. On April 7, 1953, Trygve Lie stepped down and Swedish diplomat Dag Hammarskjold was elected UN Secretary-General. The transcript of the General Assembly that day is most interesting, if only to see how different the view of Soviets are from the rest of the assembly in their response to the resignation of Mr. Lie. In 1950, the UN General Assembly voted to extend Lie’s term for another 3 years, but the Soviet Union refused to recognize Lie as Secretary-General because of his support of the UN intervention in Korea in 1950 (The Soviets didn’t get along with Hammarskjold either, and wanted to have “troika” at the UN, rather than just the one Secretary-General, because they believed Hammarskjold was a puppet of the US). Trygve Lie also lost his support from the United States, after Senator Joseph McCarthy accused him of appointing staff “disloyal” to the US. Perhaps McCarthy didn’t like that Lie once gave Leon Trotsky permission to settle in Norway after he was exiled from the Soviet Union. In any case, Joe McCarthy was insane, and he was the one disloyal to the US – he didn’t care who he destroyed for his own political gain. 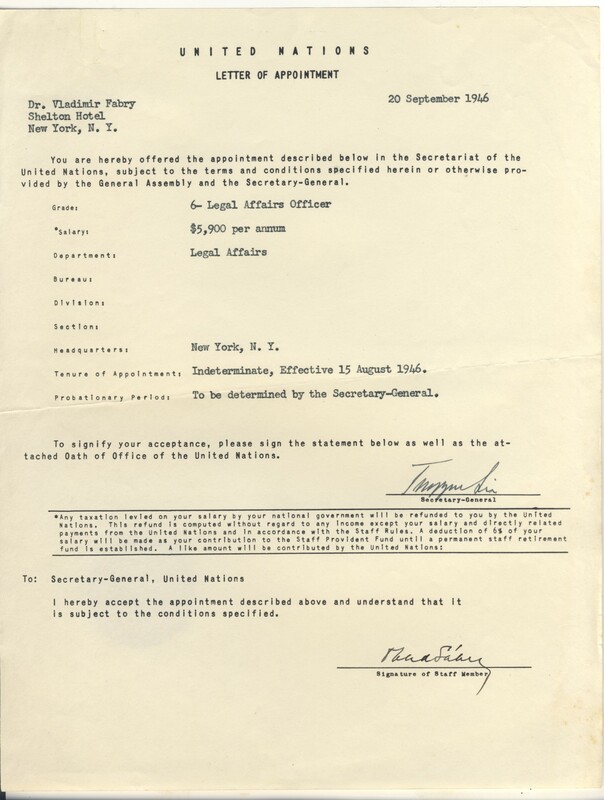 And on that note, here is a scan of Vladimir Fabry’s appointment to the UN in 1946, signed by Trygve Lie. 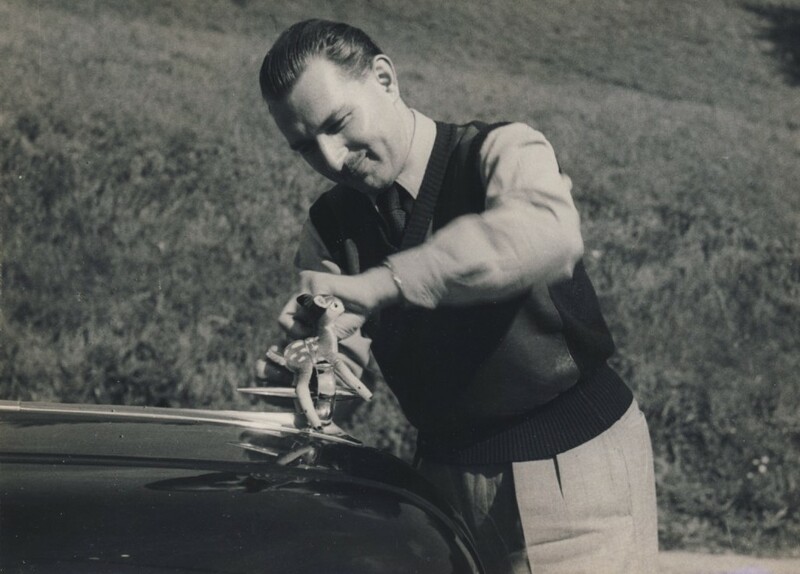 This entry was posted in Dag Hammarskjold, Fabry Family History, Trygve Lie, Uncategorized, United Nations, Vladimir "Vlado" Fabry and tagged Dag Hammarskjold, family history, Genealogy, history, Korean War, Leon Trotsky, Norway, Senator Joseph McCarthy, Soviet Union, Sweden, Trygve Lie, United Nations, Vladimir Fabry, Vlado Fabry on April 29, 2013 by fabryhistory.